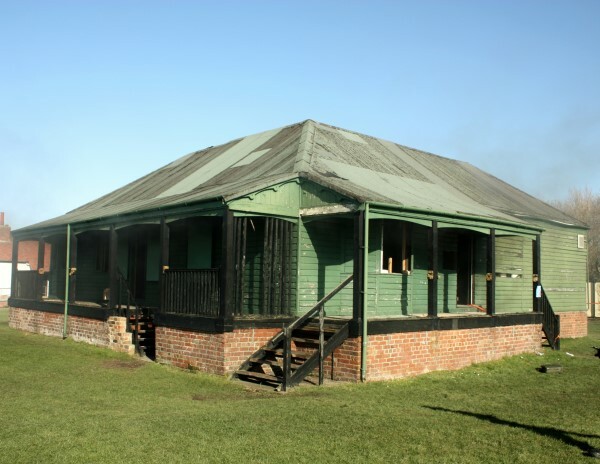 After over a hundred years of sheltering firers on the range at Altcar, but sadly unsafe and beyond economic repair, the Forbes (or Liverpool Scottish) Hut had to be demolished earlier this year. The easiest and by far the cheapest solution was to destroy it by a controlled fire conducted by range staff with the fire service in attendance. 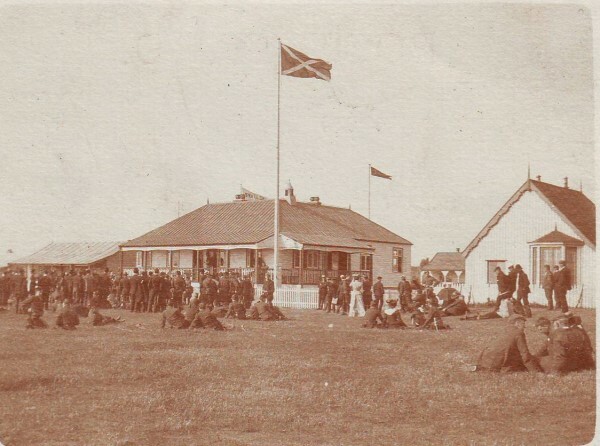 Opening on 25th June 1904 as the regimental hut of the 8th (Scottish) Volunteer Battalion of King’s (Liverpool Regiment), [the Liverpool Scottish], it was built at the private expense of the battalion members for about £400. Money came from funds raised to build their new Headquarters at Fraser Street in the centre of Liverpool. Fund-raising included a spectacular Highland Games and a grand three-day ‘Bazaar’ (sale) in St. George’s Hall. 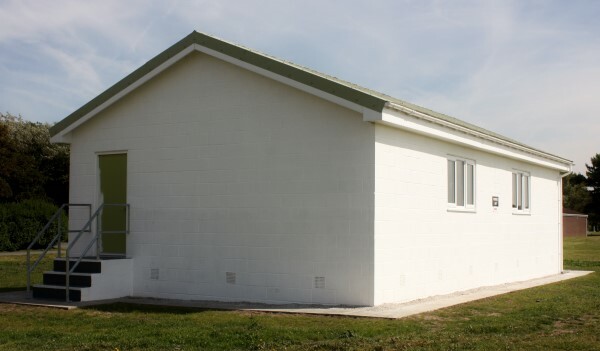 In 1967, when the old Territorial Army (TA) disbanded and the Territorial and Auxiliary Volunteer Reserve (T&AVR) formed, battalions such as the Scottish became companies and the hut was handed over to Altcar Range. 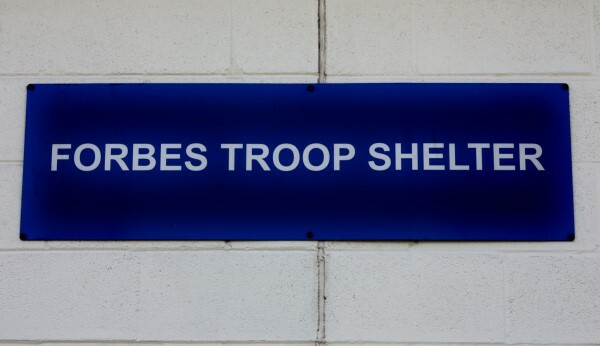 The ‘Forbes Hut’ name comes from the Liverpool Scottish regimental tartan. Other Liverpool units had maintained their own huts and the intricate veranda supports of one (the old ‘Stats Office’) now face the Range Control across the car park. The Hut was designed by the QM of the Battalion and built by Haigh & Co Liverpool; the Liverpool Scottish Museum has the receipts. Liverpool’s volunteer battalions took musketry very seriously, encouraged by the proximity of Altcar that they (and not the Army) controlled. Each company of the Scottish had its own fiercely competitive shooting club. The convenient railway meant that ‘E’ Company could parade on Tuesday at Exchange Station in Liverpool at 5:40 pm and be firing a competition through the evening. 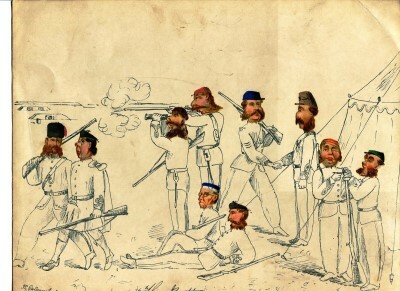 The battalion held routine shoots on Wednesday and Friday evenings (although volunteers probably paid for their own ammunition). Courses for Volunteers at Hythe’s School of Musketry at Hythe lasted 21 days with a ‘very adequate’ daily allowance of four shillings (20p). The hut was built of ‘yellow pine lined throughout’ and was ‘on a brick platform 4½ feet high’. The officers had an anteroom, dining room and lavatory with hooks for hammocks and 15 lockers. 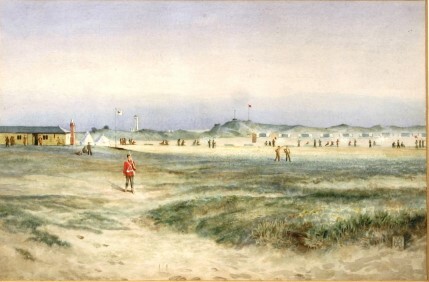 The NCOs’ and men’s quarters was similarly described as ‘spacious’ with lockers for 64. It was complete with an Orderly Room, Armoury and the basement for stores and ammunition. ‘Members’ might return to work in the city by train the next morning, having spent a presumably convivial evening watching the sun set behind the dunes. This continued in the 1920s as a WW1 veteran, Captain ‘Pinkie’ Cowan told the author. 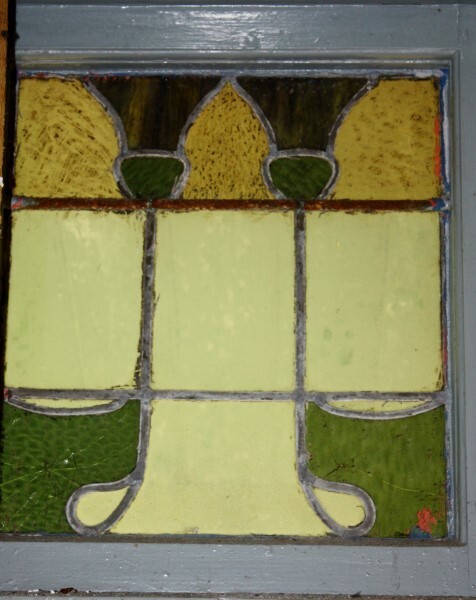 A stained glass window was rescued from the building at the last moment and it is hoped that it may be incorporated in the new troop shelter to be built, named the Forbes Hut. It would be a pity to lose 112 years of tradition and service entirely.